This online exercise is based on Eric Clapton�s Wonderful Tonight, a simple but beautiful song. 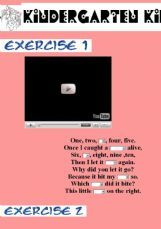 First the students listen and put the pictures in the right order according to the lyrics. Then they listen again and fill in the blanks with the correct words. Ss Complete the verbs in PAST SIMPLE!!! ENJOY! 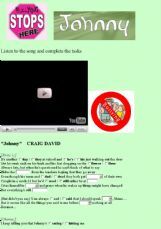 Ss listen to this touching song about bullying and complete the tasks. Nursery Rymes. 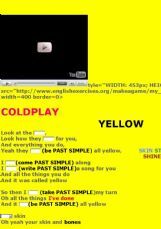 An easy song and two activities. Sts can enjoy listening to one of the most famous song by Queen and consolidate the use of the present perfect tense. Moreover, the text gives hints to reflect on pros and cons of a successfull life. Simple-they listen to this amazing singer and choose the correct option.